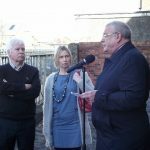 One of Belfast’s writers and playwrights who was a lifelong friend of George Bernard Shaw was commemorated by the unveiling of a blue plaque on the school in Susan Street, east Belfast, where he attended as a young boy. As Chris Spurr welcomed guests, he said, ‘St. John Ervine had come from the little streets of east Belfast to become one of the great international literary figures of the first half of the twentieth century. His novels, his biographies, his journalism, and above all his plays, show him to be a writer of worth’. Brian Ervine, a distant relative of John Greer Ervine (he adopted the pen name St. John Ervine whilst in London) spoke about John’s parents being deaf, and also running a guest house for deaf people, off the Albertbridge Road. Much of young John’s childhood was spent with his grandmother who had a shop on the Albertbridge Road. It was thought that when St. John Ervine wrote his best known play, ‘Boyd’s Shop’, the inspiration had come from his time spent in his granny’s shop. The importance of St. John Ervine’s work was again stressed when Damien Smyth of the Arts Council addressed guests. He said that the seven novels and biographies, including studies of Parnell, Carson, Oscar Wilde, Craigavon and George Bernard Shaw were legendary, and all from a man who deserved to be better remembered in his native city. 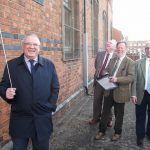 As Brian Ervine unveiled the blue plaque, he commented that it was a proud moment for the Ervine family, and thanked the Belfast City Council and the Ulster History Circle for making the commemoration possible. A day to remember in Susan Street. 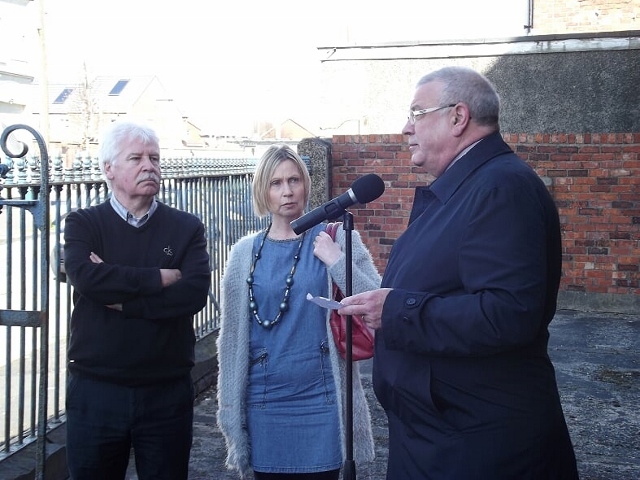 Brian Ervine addresses the assembled guests, watched by his wife Linda Ervine and Councillor Sammy Douglas. 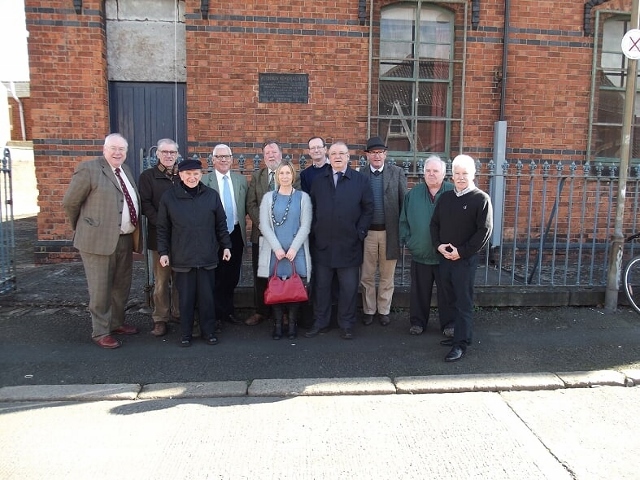 Guests who attended the unveiling outside the former Westbourne Presbyterian Church School where the playwright attended. Brian Ervine unveils the blue plaque to his relative, Rev. 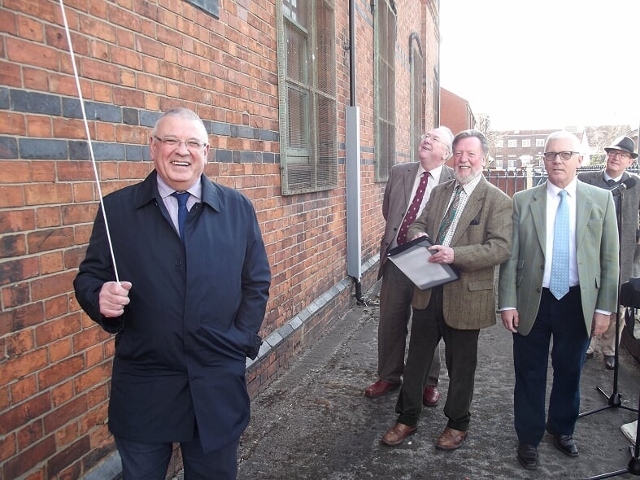 Mervyn Gibson, Chris Spurr, Chairman, Ulster History Circle and Alan Boyd, Hon. 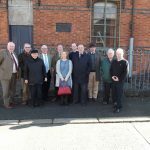 Secretary, Ulster History Circle.